Headed to the Dell Technologies Championship over Labor Day weekend? Here's what you need to know before hitting the course. The tournament - formerly known as the Deutsche Bank Championship - runs from Aug. 31 to Sept. 3 at TPC Boston in Norton, Massachusetts. The official parking area for general spectators is at the Xfinity Center. Just put 885 South Main St., Mansfield into your GPS. 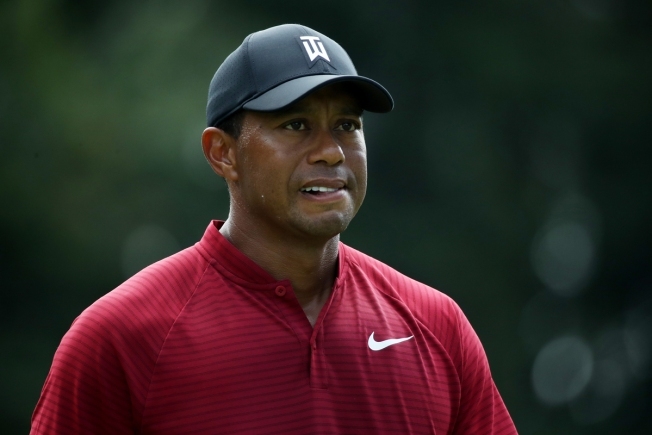 More than 100 players are expected to attend, including Tiger Woods, Dustin Johnson, Brooks Koepka, Justin Rose, Bubba Watson, Phil Mickelson and last year's champion, Justin Thomas. The field will be finalized on Aug. 24. Woods is returning to Boston for the first time in five years as he chases his third FedExCup title. He is fresh off a runner-up finish at the PGA Championship, where he posted his lowest final-round score in major championship history. Click here for a list of tee times, which are posted the day before tournament play begins. Tickets range from $35 to $65 by day, or $205 for a weekly ground pass. Special upgraded club tickets are also available for an additional cost. There are special discounts for students and veterans, and military members and children under 15 get in free with a paying adult. Buy your tickets by clicking here or calling 1-888-401-8000. For group ticket sales, call 844-868-7465. General parking is at the Xfinity Center. You can purchase parking in advance or upon arrival for $20. Shuttles will be provided to the main entrance of the championship. Fans will be searched when entering the course, and there are restrictions on the sizes and types of bags allowed. Click here for a list of restricted and permitted items. This is an outdoor event. Remember to dress appropriately for the weather and to pack that sunscreen for sunny days and the raincoat for the wet ones! The Dell Technologies Championship isn't just about the professionals playing their best game. There are also special events throughout the week, including the pro-am, the Kid Village, food trucks, a kids-only autograph zone and more. You can follow the Dell Technologies Championship on Facebook, Twitter and Instagram.